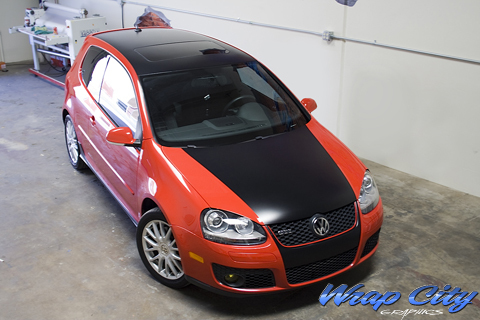 We turned this red VW GTI into a two tone with a matte black vinyl wrap on the roof, hood, and front bumper. The vinyl was trimmed to follow the curves of the body lines. 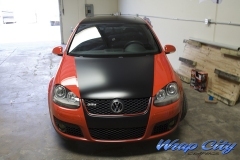 We used a cast matte black vinyl with a wet application process for this job.